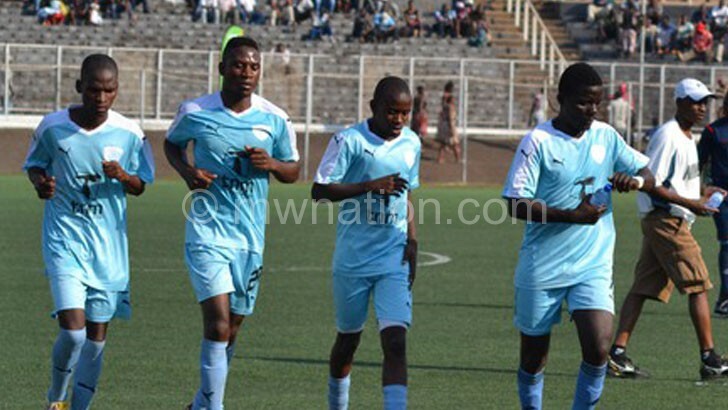 Silver Strikers have received a major boost ahead of Saturday’s Lilongwe derby against Civil Sporting Club as four of their key players have resumed training after recovering from injuries. Midfielders Jack Chiona and Newman Mwansamale and defender Mike Roberts have missed a couple of matches while goalkeeper Brighton Munthali got injured during a TNM Super League match against Red Lions on Saturday. Confirming the development, Silver assistant coach Peter Mgangira said all the three joined training on Tuesday. “The good news is that we have a full house because almost all the 30 players are available for selection,” he said. Mgangira said the four players’ return will boost their challenge for the Super League title. Silver are second, six points behind leaders Nyasa Big Bullets. “We are at a critical stage of the league campaign where we need all the players to be fit. This enhances competition for places. It improves performance of the team,” he said. The Bankers take on Civil at Silver Stadium, a game which Mgangira said they are treating with utmost seriousness despite their rivals’ inconsistency. “If we are to sustain our title bid, we should try to win all the games and the Civil one is not an exception. We are not underrating them because they are still a good side,” he said. Meanwhile, Munthali said he is looking forward to featuring in the Lilongwe derby, a week after he was substituted in the latter stages of the Saturday match. “I suffered a hip injury in that match. Doctors have looked at me and it seems there is nothing serious. I am still under medical observation, but I am optimistic that I will take part in the upcoming match,” he said.